On this page you will find the main links that we use, either for the purchase of equipment, or to visit Ashtanga Yoga teacher friends, etc. 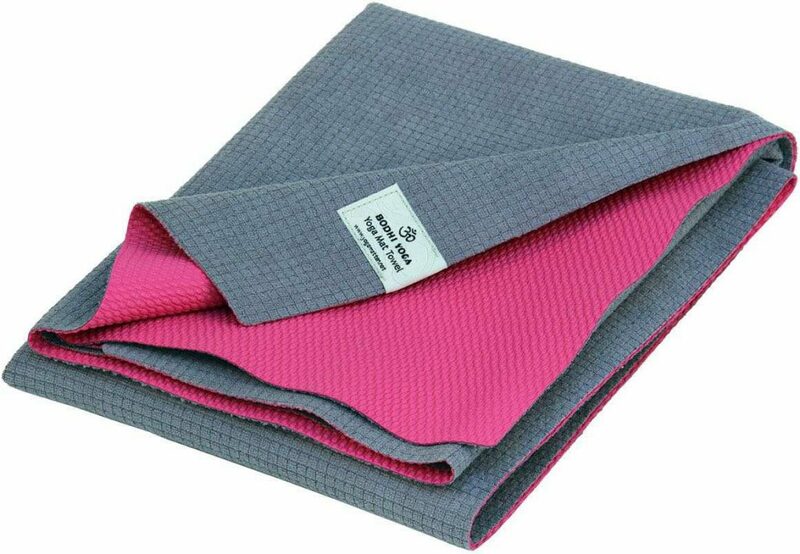 Bodynova : Microfibre towel, the underside of which is covered with a layer of TPE especially non-slip. Bernadette Stiernet – Les Heures Claires A.S.B.L. http://www.espacesattva.fr/ Sreemati, Didier Dozas, Stéphane Colliège, Sian Melangell Dafydd, Delphine Lê, Charlotte de Sailly, etc. http://www.aray.fr Yan & Anne-Marie Le Boucher, Luc Carimalo & Mireille Drouet, etc. 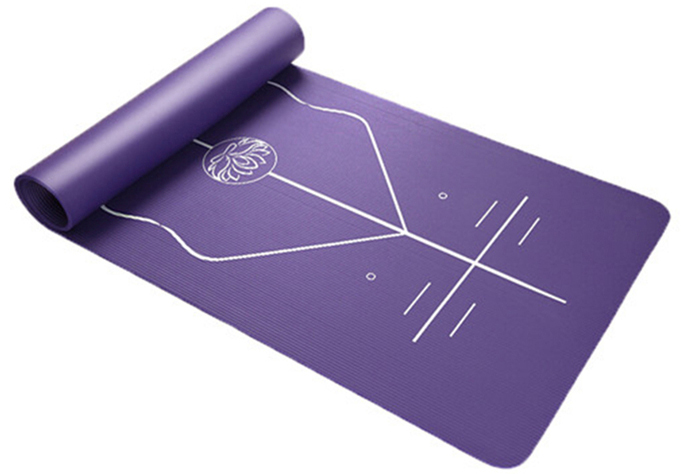 This entry was posted in Information and tagged Ashtanga Yoga, Belgium, BKS Iyengar, France, Greece, Krishnamacharya, links, Page, Sri K. Pattabhi Jois, website, yoga mat on 10 May 2016 by Jean-Claude Garnier. After many years of Sivananda Yoga, Simon de Wrangel practice Ashtanga Yoga since 1992 with passion. He is an architect and he also has a passion for the instinctive archery. This entry was posted in The Teachers and tagged archery, Architect, Ashtanga Yoga, Belgium, Brussels, Sivananda Yoga, Yoga on 28 December 2014 by Jean-Claude Garnier. the adventure of transmitting yoga starts in September 1973 at “La Maison de la Culture de Rouen” (France). Success is immediate, there are several classes everyday in different places, at Mt St Aignan University, at St Claire’s church etc. …. 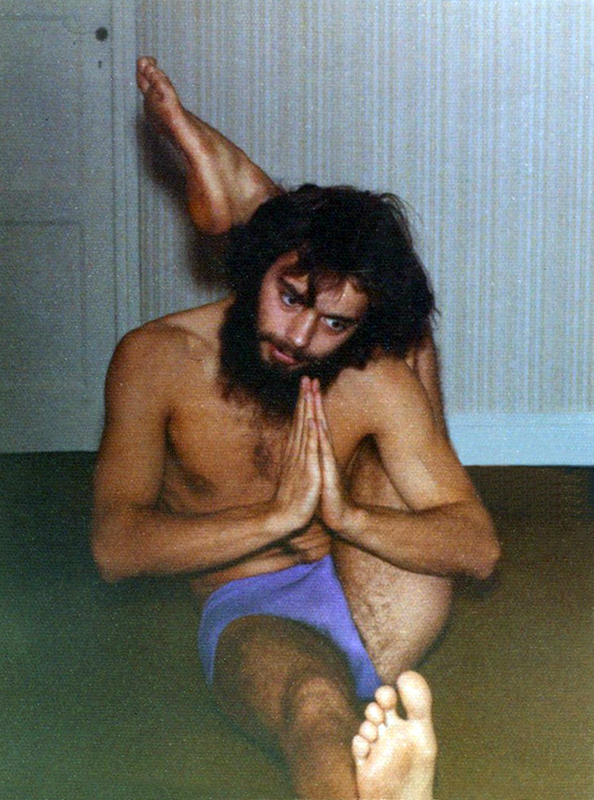 Jean Claude transmits either Iyengar’s technique or Pattabhi Jois’s technique. The workshops take place at the “Château d’Ernement sur Buchy”, where he was living. Still in Rouen, in 1974, he founds the C.R.Y. (Centre Rouennais de Yoga) with Dr. Louis Creyx, 264 students follow the morning or evening classes. He then founds the “Centre Padma” in Elbeuf in 1979 to host residential training workshops. Many workshops are held in France, Italy, Switzerland, Holland etc. …. Since then, Jean Claude exclusively teaches “Yoga Korunta” (Ashtanga Yoga as transmitted by Sri K. Pattabhi Jois) . Many seminar take place, in the South of France, in the Community of the Ark, founded by Lanza Del Vasto. Life changes ……. Jean Claude meets Anne and goes to live in Brussels in 1987. He teaches at the “Maison Américaine”, chaussée de Charleroi, then rue des Glaïeuls, Uccle, in 1988. More space becoming necessary, the Ashtanga Yoga Institute moves to rue Jules Lejeune, Ixelles from 1989 until 2003. Finally, with the help of his friend an architect Simon de Wrangel, the Ashtanga Yoga Institute moves into it’s own premises 610 Chaussée d’Alsemberg in Uccle, with a yoga room that follows the explanations given by Sri K. Pattabhi Jois. 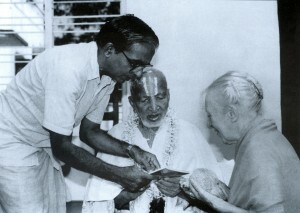 The Ashtanga Yoga Institute’s reputation spreads; daily lessons, workshops and seminars are given in Belgium, Greece on the Island of Andros and in Athens,and in India in Mahabalipuram. The Ashtanga Yoga Institute’s aim is to transmit “Yoga Korunta” (better known as Ashtanga Yoga) as it was taught by Shri K. Pattabhi Jois during his life-time, at the « Ashtanga Yoga Resarch Institute » in Mysore (South India). This entry was posted in Information and tagged Andros Island, ashram de Pāunar, Ashtanga Yoga, Belgium, Brussels Institute, C.R.Y. (Le Centre Rouannais du Yoga), Dr Louis Creyx, France, Greece, India, Indira Gandhi, Iyengar yoga, Mahābalipuram, Mysore, Pattabhi Jois, Pondicherry, Rouen, Sri K. Pattabhi Jois, Vinōbha Bhave, Yoga Korunta on 28 December 2014 by Jean-Claude Garnier. I was born in Germany in 1969 and came to live in Belgium in 1997, in order to work as a conference interpreter – and to discover what was going to become my passion, yoga. In 1999 I came across an approach called yogadance, which, in search of sensation and in an effort to find proper body alignment, links together various postures in a playful creative way in order to create a choreography. Later I tried different kinds of yoga, and in 2011 I discovered ashtanga yoga, which I found fascinating to the point that in 2012 I decided to enrol in the yoga teacher training course given by Jean-Claude, to learn more about ashtanga on a deeper level. I believe that ashtanga is a very good tool to know oneself and to be honest with oneself: whereas verbal language can be used to deceive (oneself), the body never lies, through blockage, pain, but also through the joy of living it expresses during yoga practice and beyond. This entry was posted in The Teachers and tagged Ashtanga Yoga, Belgium, Brussels, Interpreter, teacher training, Yoga, Yogadanse on 25 December 2014 by Jean-Claude Garnier. My basic training is physical education. Injured and very handicapped by the intensive practice of different sports, I discovered Ashtanga Yoga through a friend and again found the pleasure of living. I have now been teaching it for more than 25 years. It is happiness in the awakening of the consciousness of the body and the regain of mobility. This entry was posted in The Teachers and tagged Ashtanga Yoga, Belgium, Brussels, Charleroi, disability, physical education, professor, sports, teacher training, Yoga on 25 December 2014 by Jean-Claude Garnier. I am an architect, the father of two children. As a child and teenager I practised judo, and later climbing, windsurf, swimming, hiking. My bike takes me everywhere. A few years ago, my quest for yoga lessons led me to start Ashtanga, for no particular reasons, with no specific expectations. As lessons went by, I remained faithful to it. Regular practice led me to try progress in the postures, focussing on breath and deeper mental involvement in each posture. Gradually I became aware that it goes further than sheer physical activity: to learn how to resist one’s basic impulse, to no longer overdo it to perform a particular posture, but to simply strive to reach the balance that allows one to keep it, to seek relaxation while remaining active. So many challenges I like to take up and lessons I draw from the practice. On top of increasing my flexibility and endurance, Ashtanga Yoga brings me inner peace that helps me confront the hustle and bustle of daily life. A few readings too: “Yoga Sutra” by Patanjali, “Yoga Mala” by Sri K. Pattabhi Jois, “La voie de la paix intérieure” by BKS Iyengar, Krishnamurti’s books…these are companions along my road. In addition to my own practising I find pleasure in helping and guiding other pupils, to share with them the discovery of that feeling of well being that can be derived from Ashtanga Yoga. This entry was posted in The Teachers and tagged Architect, Ashtanga Yoga, Belgium, Brussels, climbing, cycling, judo, Yoga Sūtra on 25 December 2014 by Jean-Claude Garnier. After having completed his studies in engineering, he started intensive practice in Tibetan Buddhism under the directions of three Tibetan Buddhist masters: Lama Karta, Lama Zeupa and Lama Tashi Nyima. Then, he undertakes 1 year of psychology at VUB, follows 3 years of Intuitive Development in Antwerp, and completes a 4-year training at The Brennan Healing Science (BHS) in New York. He teaches for two years at the BHS in Long Island and Miami. Then he becomes a teacher at BHS in Miami, Germany and Austria. He trains in Family Constellations at the Hellingerinstituut in The Netherlands. He followed the training in Watsu I given by Basia Szpak-Borst, a training in Wata I & Watsu II with Arjana Claudia Brunschwile;, he is still studying “Integrative Aquatic Training” with David Sawyer. Since 1999, he has become very interested in yoga; Ashtanga Yoga and the Iyengar techniques fascinate him the most. He gives trainings in Energy Healing, a form of holistic medicine that considers all the dimensions of the human being: the physical and psychological body, the subtle energy body, the spiritual dimensions, as well as the feelings, emotions, and thoughts. This entry was posted in The Teachers and tagged Ashtanga Yoga, Belgium, Brussels, Buddhist meditation, Energy Healing Science, Family constellations, Iyengar, Shivananda yoga on 25 December 2014 by Jean-Claude Garnier.